We assembled a panel of certified burrito correspondents, food scholars, and top chefs to spill the beans—ehem—about their go-to burrito spots, from a classic Mission dive in San Francisco, to a surprising front-runner in Kentucky. In January 2015, the Twitterverse responded emotionally to the news that Chipotle would put a halt to serving carnitas. Some people invoked conspiracy theories, dubbing it #carnitasgate, while others expressed their lunchtime angst—all over a flour tortilla loaded with ‘fixins. 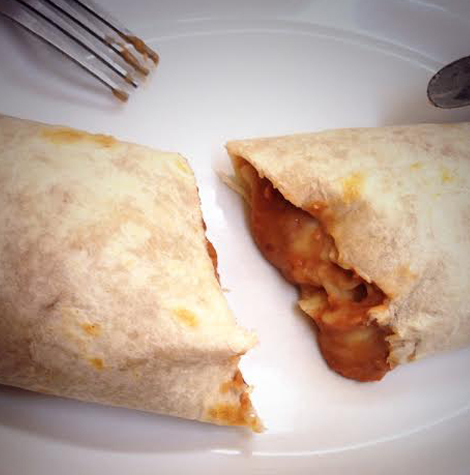 Such is the grasp the burrito has over Americans’ heartstrings these days. “Tacos became almost instantly popular when they first arrived here” says Mexican food scholar and author Gustavo Arellano, who penned the monumental book Taco USA: How Mexican Food Conquered America. The story begins with the clash of Aztec and Spanish cultures during the colonial era. Flour tortillas appeared after Spaniards encountered difficulties growing corn in the New World, so they opted for wheat instead. 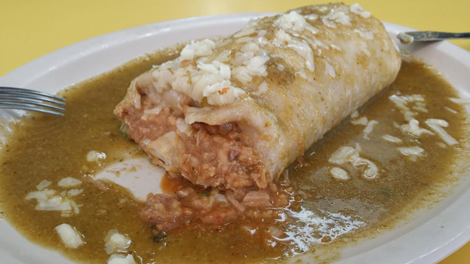 While the burrito’s true origins are still a mystery (Arellano is betting on Sonora, but it very well could be Juarez or Chihuahua), we do know it was borne out of borderland territory. 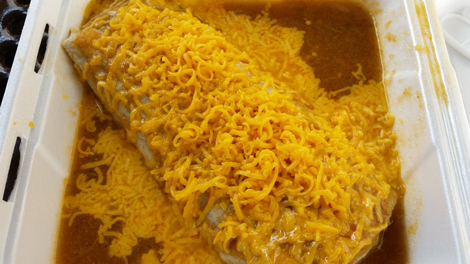 A group of regional styles have emerged since its inception, widening the burrito lexicon and building upon the bean-and-cheese burrito archetype that initially fueled braceros. To settle the growing partisan divides among burrito-eaters, statistician Nate Silver of FiveThirtyEight got in on the action last year, using data-driven analysis and a complex bracket system to crown a burrito champ. 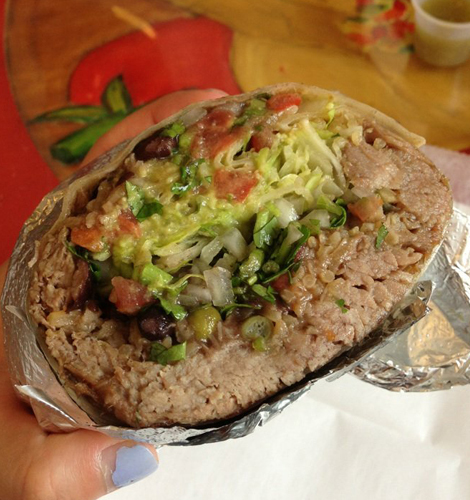 Out of San Francisco grew the Mission Burrito-style burrito—a noticeably heftier version assembled on a production line, filled with rice, meat, pico de gallo, sour cream, guacamole, beans, cheese, and always wrapped in foil. Barry-Jester says: “Last year, I spent three months driving around the country in search of the best burrito in the United States. 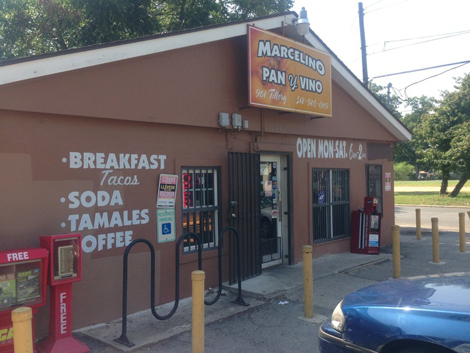 There was a winner, but of the hundreds of burritos I consumed, I most often think back to one tucked away in the northwest corner of Lexington, Kentucky, not a place known for its Mexican food. 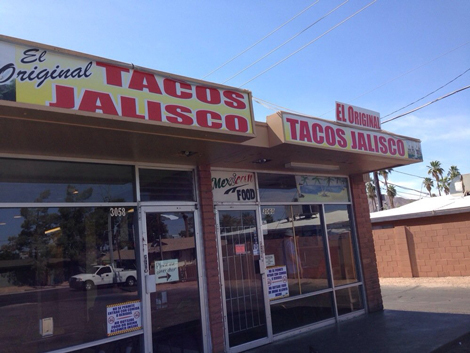 Tortilleria y Taqueria Ramirez sits unassumingly in the corner of a small, rundown strip mall. Shelves and refrigerators are a backdrop for a handful of tables and benches in the dimly lit store-restaurant combo. But don’t let the humble surroundings fool you: this food would be impressive in any setting. 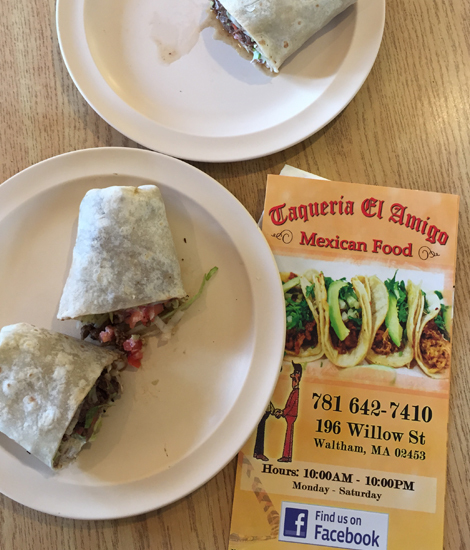 Hiersteiner says: “Indicators of a good burrito abound at Taqueria El Amigo, a joint 30 minutes west of Boston in Waltham. The place is hard to find, sandwiched between a terrifying dive bar called The Hose Trough and a liquor store parking lot. It’s a cash-only business, which sends many visitors on a trot to the gas station with the perennially broken ATM machine, and then to Stah Mahket (translation: Star Market). Spanish is the dominant language among the staff and diners at the tiny grouping of six tables in the restaurant. It’s an unusual place when you consider that most of the Latin food energy in Boston is wrapped up downtown in Eastie. And it’s the only place I’ve ever found where they’ll wrap a cow’s head in a flour tortilla for the right price. Schonberger says: “One of my favorite things about traveling in the U.S. is discovering the country’s endless remixes of familiar foods. From Memphis-style nachos (BBQ pulled pork, cheese sauce), to Sonoran hot dogs, to the sheet pizzas of the Rust Belt, these dishes often tell the story of cultural exchange, immigrant ingenuity, or simply the so-dumb-its-brilliant scheming of a local entrepreneur. Some might call them ‘bastardizations,’ but I call them delicious—and just as worthy of study and consideration as their forebearers. 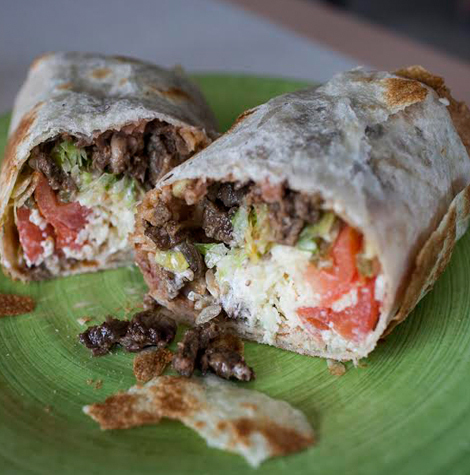 When I was driving around the Midwest writing for the Let’s Go: USA travel guide, I came across the ‘famous wet burritos’ of the Beltline Bar in Grand Rapids, MI. Having gorged on Upper Peninsula pasties (a specialty that traces back to Cornish miners in England) and Traverse City cherry pie during the rest of my Michigan tour, I wasn’t expecting to find a monster burrito in Grand Rapids, stuffed with ground beef and refried beans, then smothered in melted Colby cheese and red enchilada sauce. 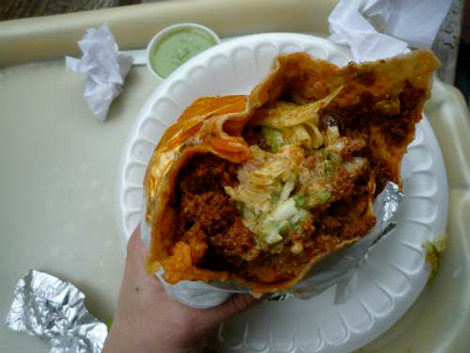 It was the chili-cheese dog of burritos: over-the-top, messy, and impossible to stop eating until considerable physical pain is the only thing you stopping you from feeding your pleasure receptors. 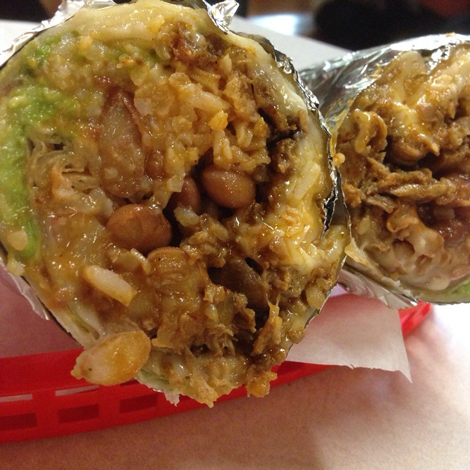 Gross says: “It will surprise no one who gives a damn about burritos that El Farolito, a gloriously dingy pair of taquerias clustered around 24th and Mission in San Francisco, serves one of the finest torpedoes of rice, meat, beans, and guac in the known universe. This is the Mission, after all. Countless East Coasters like myself, having grown up with only inedible imitations, have journeyed here in search of tortilla-wrapped revelation. And we have found it. My own first step toward enlightenment began late, when I was 35 and visiting San Francisco with my then one-year-old daughter, Sasha, whom I alone was in charge of feeding, bathing, and entertaining for a full week. The kid liked rice, I knew; maybe she’d also like rice mixed with meat, and encased in a flour tortilla? Into El Farolito we walked, and out we walked 15 minutes later, full and happy. 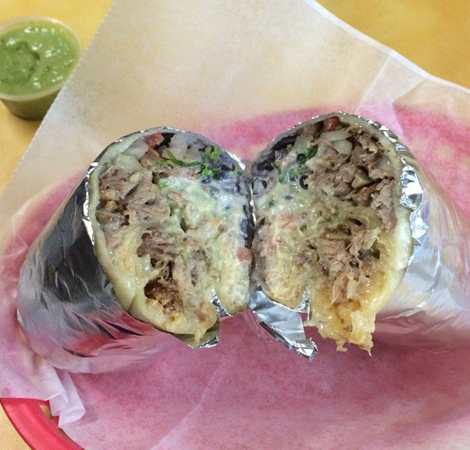 Sasha had eaten several bites of my carnitas super burrito, and I had eaten the rest, delighted at the way the intense pork fat permeated every corner of the dense cylinder. There could be nothing better. 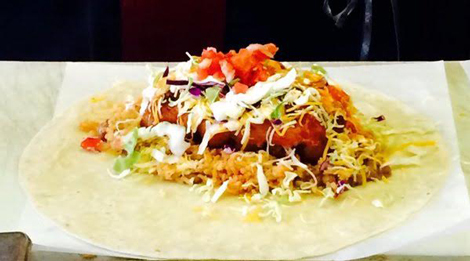 Joseph says: “Let me issue the most scorching #HotTake you’ll hear all week: A bucket-list burrito exists in Athens, OH, at Casa Nueva restaurant. Get the extinguishers out. I’ll qualify. 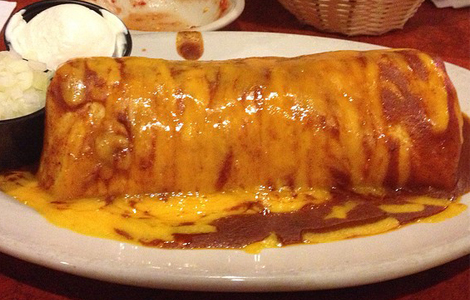 I grew up in Ohio, which is a wasteland for Mexican food. Southeast Ohio is an especially tragic food desert, widely considered one of the most disadvantaged regions of the country, disregarding college towns like Athens. Yet in this vacuum exists Casa Nueva, an establishment where the majority of the ingredients have been locally sourced for the entirety of Casa’s nearly 30-year existence. 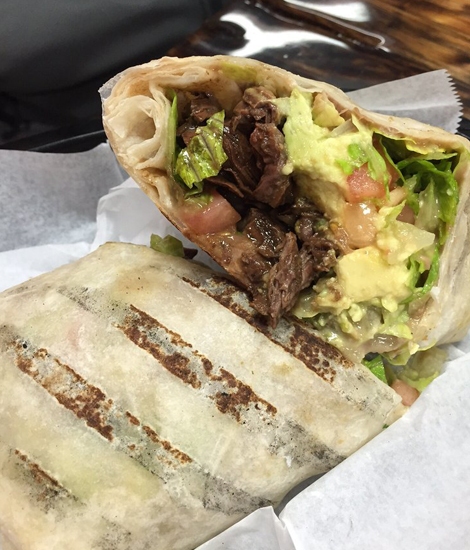 Their burritos are known primarily for their fresh vegetables, salsas, and dairy—not their meat. 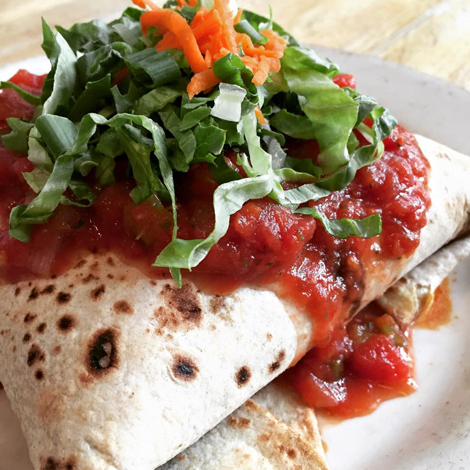 Weld says: “I had a kind of master class in burrito eating from my friend and former kitchen sidekick Stephen Tanner, with whom I ate burritos several times a week before dinner service at Egg. 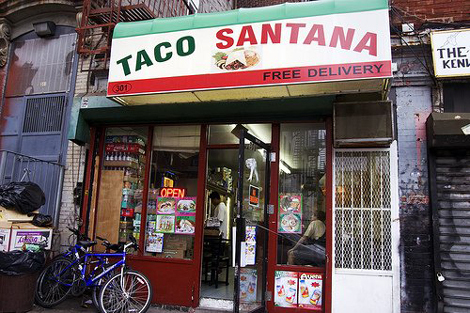 Our spot was Taco Santana on Keap Street in Williamsburg, which we stumbled on after a disappointing meal at Mexico 2000, the more popular spot around the corner on Broadway. Stephen taught me to order burritos “sin arroz, with all the sauces,” and the folks at Taco Santana were always happy to oblige.